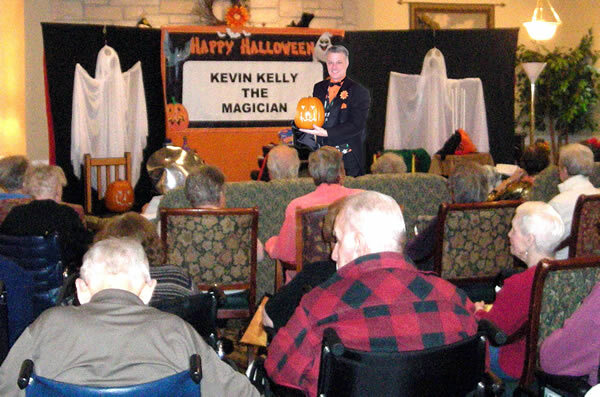 Kevin Kelly's Halloween Show is the perfect entertainment choice for your Halloween Party. 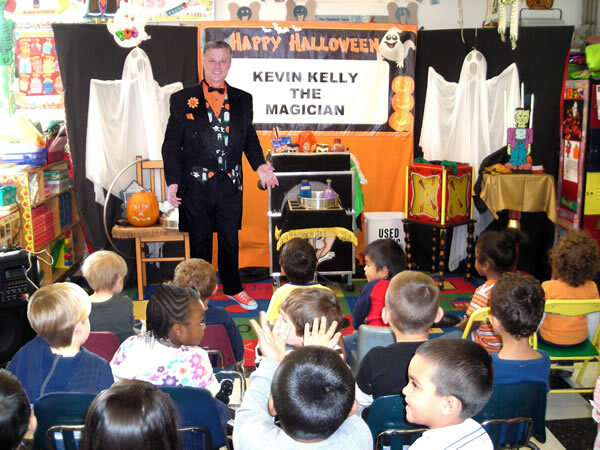 Kevin has successfully performed his Halloween Magic Show for pre-schools, grammar schools, senior parties and family events. audience volunteer on a flying carpet! There's Halloween background music, audience participation, sophisticated magic and comedy for adult shows, a combination of silly slap-stick comedy and sophisticated magic for family and kid shows. about for a long time.